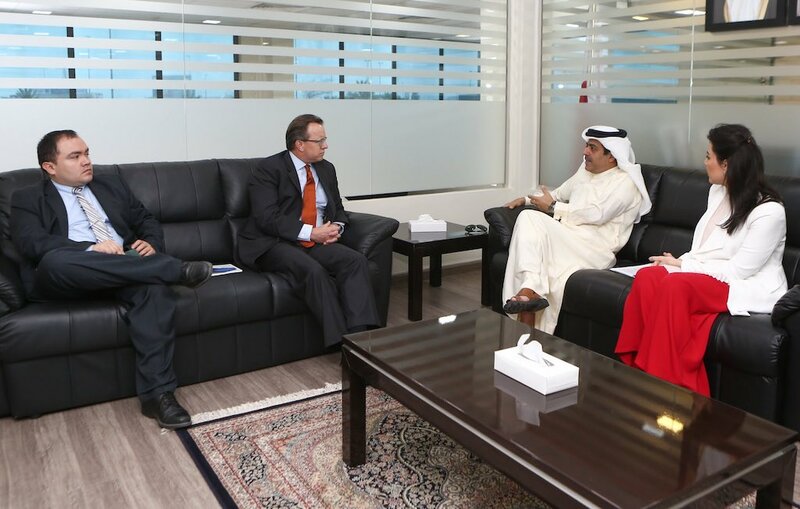 CEO of Labour Market Regulatory Authority (LMRA), Chairman of the National Committee to Combat Trafficking in Persons (NCCTP), Osama bin Abdulla Al Absi, today received USA Ambassador to Bahrain, Justin Hicks Siberell, who paid a visit to the Expat Protection and Assistance Centre in Sehla. 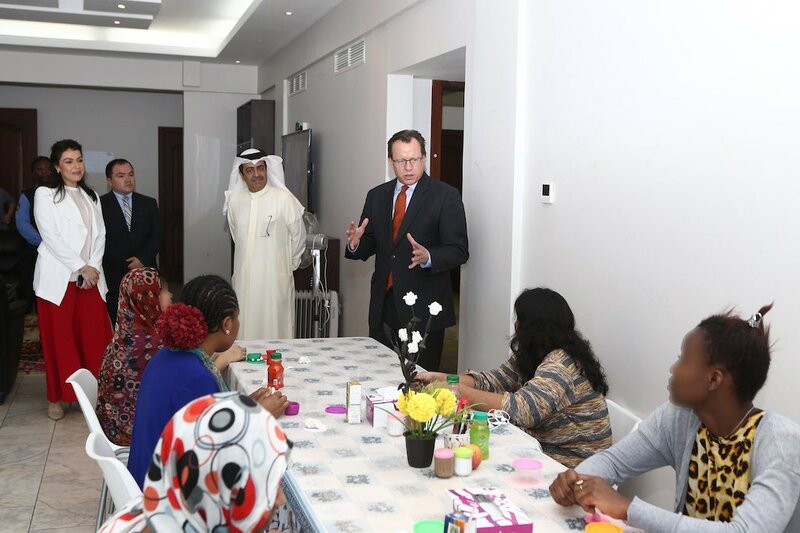 The US Ambassador said the Expat Protection and Assistance Centre is a leading government model to follow at the global level. He stressed his country’s support for Bahraini efforts in preserving rights of expat labour and combating trafficking in persons, looking forward to cooperate with the national authorities concerned to address this modern slavery form. Al Absi said trafficking in persons is a crime contrary to the principles of divine religions and humanitarian principles that national legislation guarantees, noting the national strategies and cooperation with government and private bodies to combat trafficking in persons. He spoke about the establishment of a fund to support victims of trafficking in persons, including providing humanitarian and financial support programmes for victims of the expat labour. He also noted the NCCTP’s National Referral System that targets reinforcing action against trafficking in persons. He also addressed the modernization of laws and legislation to develop the work environment and promote equality and labor rights. This entry was posted in BNA and tagged Ausama AL Absi, Expat Protection Centre, human trafficking, US Ambassador by Labour Market Regulatory Authority. Bookmark the permalink.